Now available online, new Péro. From their Resort 2018 collection, we have new shirts, tunics, and jackets. 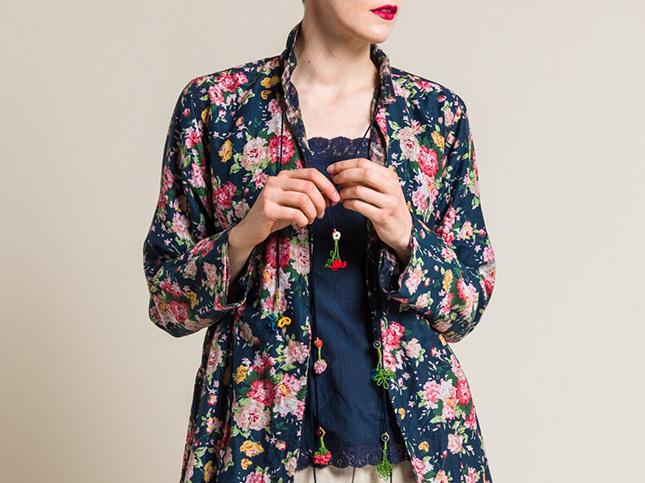 Pink and cream florals are printed onto navy and beige, while red stripes and bold gingham accent the collection. The material are soft silk, cotton, and airy gauze, all add to the whimsical aesthetic of the line. The latest shipment is available online and in-store at Santa Fe Dry Goods on the Plaza in Santa Fe, New Mexico.